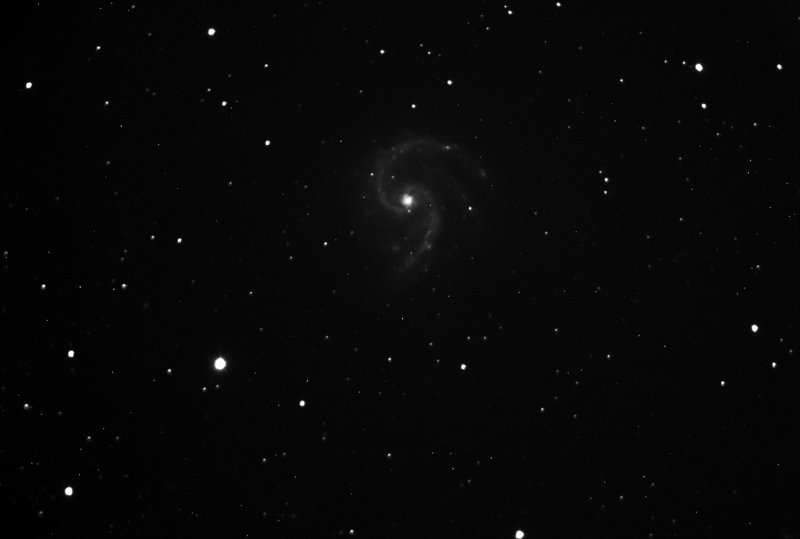 Kumeu Observatory Log: 2nd - 3rd of May, Cold Clear Skies! I didn't get out to Kumeu as early as I would have liked last night as I helped to host a talk by the co-creator of the PhotoPills app Rafael Pons at Stardome Observatory on behalf of the Auckland Astronomical Society, after the talk was finished I gave Rafael a quick tour of the facilities and then dropped him off at the backpackers he was staying at and headed out to the observatory. 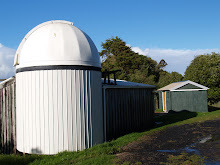 On arrival I was pleasantly surprised to find Auckland Astronomical Society member Alan Kane on site observing with his big Dobsonian, after exchanging pleasantries I opened up the dome and got to work. The first thing I did was obtain focus using the TCF's auto-focus procedure this worked very well with a focus star giving me a result of a FWHM of 1.6 arc seconds per pixel, I then set about slewing to different objects and taking some test images but after a while I noticed that the TCF wasn't tracking the temperature changes so the focus had shifted off a bit, the temperature had dropped by about two degrees so when I went to run another autofocus I found that I could no longer obtain focus as the TCF wanted to go past 7000 steps when looking for the autofocus start position, knowing that the solution was to put the TCF back to the 3500 half way point and then manually get the focus back to as tight as I could by eye, I finally got back into focus although the focus Star I was now measuring was only giving me a result of a FWHM of 2.3 arc seconds per pixel, I don't know if that was because the "seeing" had changed or because having re-set the focus manually I had somehow changed the collimation. 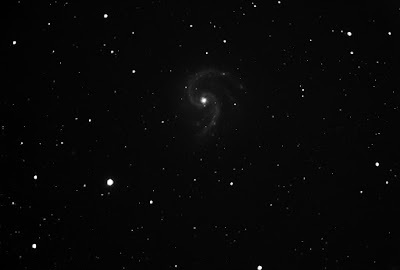 - A stack of ten one minute exposures of the spiral galaxy NGC 5247, I think in this image the focus was already starting to go "Pear" shaped. Imaging targets around the sky using the auto-guider I noticed that objects in the east couldn't be autoguided as the target stars were drifting off fairly rapidly, on the western side of the sky their was no problem at all so I think we really do need to do a lot more drift alignment to make sure we can autoguide on both sides of the sky, at this stage of the night I noticed the star shapes looked a bit funny ( not quite round ) I wondered if maybe the collimation had slipped out, but after a bit of investigation I found that we had dew forming on the inside of the corrector plate! I had encountered this the night before when hanging out with Grant Christie at Stardome while sitting in on his observations of a binary Wolf-Rayet star system, I knew that the solution was to crank up the dew strap to heat up the corrector plate but unfortunately our dew strap is not currently powered, I remembered Steve saying he had to think about how we are going to power it moving forward, so not wanting more dew to form on the inside of the corrector plate I shut down and headed home around 2:30 am, I've got to say I'm very thankful that Steve had setup the computer downstairs to control the dome computer remotely, so that I could operate in comfort, as on the way home I noticed my car's outside temperature sensor was recording the outside temperature at a chilly 3 degrees! - Dew on the inside of the corrector plate. So moving forward I think we have a number of tasks to prioritize before we can start doing some research grade observations, we obviously really need to get the dew strap powered! 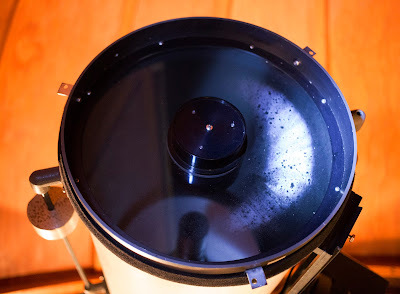 With the cold / damp weather here now it won't take long for dew to form on the corrector plate, we also really need to take the CCD off the mount and make sure the new filters are not moving, if the filters move even slightly we won't be able to do the data reduction correctly and with the microlensing season about to start we really need to make sure our data is reduced correctly for scientific submission and of course we really need to spend a full night or two doing the tedious task of drift alignment so that our autoguider won't have to work as hard and that autoguiding will work across the entire sky, all in all though we have made some great progress over the last few weeks so it's just a matter of building upon these successes.